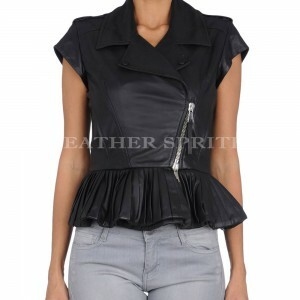 Wear this Hot Leather Top and dazzle everyone with your ravishing beauty! Most of the girls look different in the party, for this they use different fashion statement. Made of top quality lamb leather and this bold leather top features medium width straps, Abs length size, double cloth leather detailing and flat center cover.